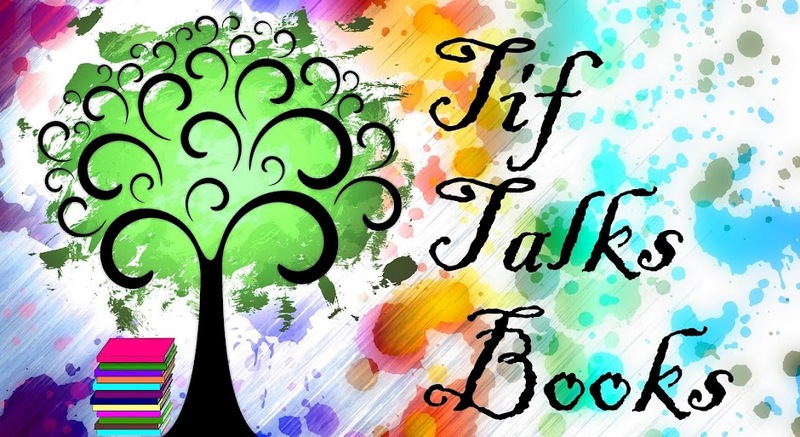 TIF TALKS BOOKS: Doctor Sleep Read-along: The Wrap-Up! Doctor Sleep Read-along: The Wrap-Up! Can you believe it is time to wrap-up the Doctor Sleep Read-along?!? Before we dive into our final discussion, let's review the previous conversations that we have had along the way . . .
As you can expect at this point in the conversation, there will be MAJOR SPOILERS in this post! If you have not yet read Doctor Sleep by Stephen King, then DO NOT PROCEED! For those that have finished the book, read on and share your thoughts! Before we started reading, we asked if you had any expectations for Doctor Sleep. Did you get what you were hoping for out of the book? As I mentioned in the kick-off post, I was really going in with an eye on how Dan(ny) and King himself have evolved and transformed over the decades since The Shining. I definitely got my answers. I think both grew in multiple ways, some good and some not so good. It was a journey that took me for a ride and when I read the final page in Doctor Sleep, I felt I got more than I bargained for and had ever expected from a sequel to the winter at the Overlook Hotel. Having finished the book, do you think having read The Shining is important for enjoying this one? When asked this question previously, I said that I think that a reading of The Shining would be helpful to ensure that the reader is in the know of all the details along the way. After finishing the book, I stand by my opinion. Minor details are referenced throughout the book; some are noted by King, but not all of them. Readers can get by without knowing all of these details, but definitely do not rely strictly on the movie before diving into Doctor Sleep. In one word, one phrase, one sentence ... describe Doctor Sleep. Redemption. Characters made poor choices along they way. They got themselves into bad situations. It is likely that more will come even after the ending of this book. BUT, Danny redeemed himself. Jack Torrance even redeemed himself. In the end, the good won against the evil and they did it in a redeeming and brilliant way! Anything else you feel like discussing about the end of the book? Or, about the book as a whole? I have a few different things I want to chat about, so I will try to make it short and to the point . . .
(1) Who else was completely blown away by the blood connection between Dan and Abra?!? I was totally not expecting this and I literally had to re-read this part of the book a few times before I could move on. It made complete sense and I loved it!! (2) What the heck is going to happen to those who left the True Knot?!? What about the story that came before for this group? We really only get a small glimpse into the lives of this creepy group, and I was left yearning for more ... like if they will try to come after Abra again and again since some still remain out roaming the roads in their RVs. (3) I had tears in my eyes at the appearance of Jack Torrance at the end of the story. It was such a beautiful twist to the tale, softening the character that so many have come to loathe and hate in popular culture. I think this was my favorite part of the entire story! 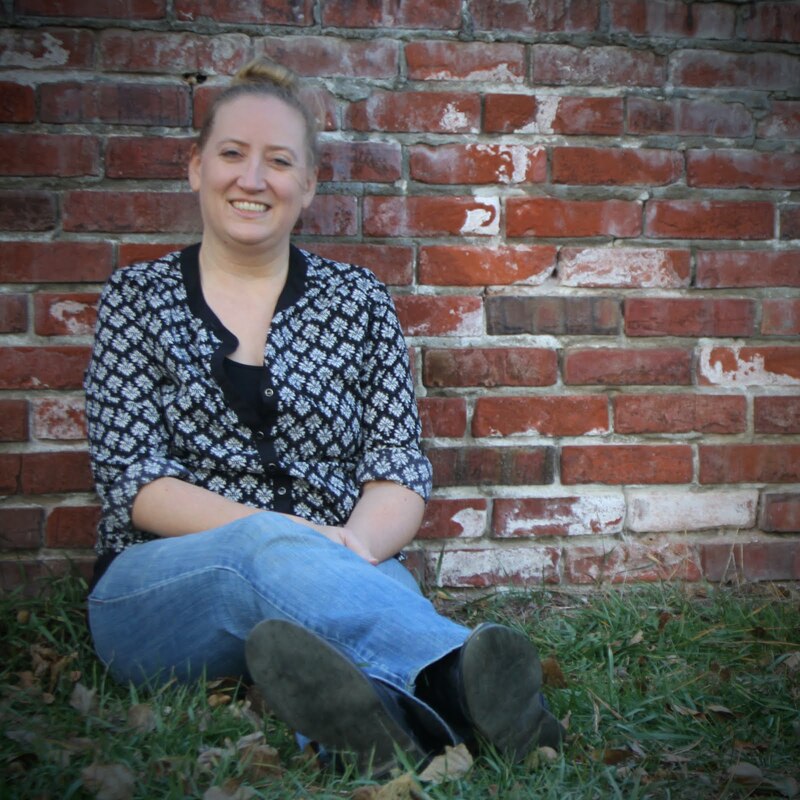 Be sure to click on over to Charleen's site for her answers to these questions. As always, we encourage you to share your thoughts in the comments section or by sharing a link to your own site. Thank you to everyone who joined in reading with us, chatting with us on our blogs, on your own blogs, and on Twitter. The last few weeks have been a blast, especially commiserating with other King fans along the way! Thank you, thank you, thank you! Do you have any final thoughts about Doctor Sleep? How about Stephen King in general? Nordie ... I think we had the same print copy! Chapter 13 was the first chapter of Part III, and a horrible place on my part to split up the reading!! I look forward to reading your thoughts on this one!! Yes, LOVED seeing Jack at the end! As for the others in the True Knot, I don't think they will give Abra much trouble. Part of why they left is because they thought Rose was obsessing and putting them at risk. Given the fact that the colony as a whole, with all their resources, was having issues finding enough victims, not to mention they're all probably incubating the measles now... I don't think they'll be giving anyone much trouble for very much longer. Charleen @ Cheap Thrills ... Very good point on the True Knot remaining members. I was curious though if there were more groups out there, separate from Rose's group. Like I mentioned in a comment on your site, I'm hoping to learn more about these guys. Maybe they will even make an appearance in one of his later novels?!? True, she does mention that some members had split off in the past... I suppose they might still be out there, not having been infected by our mortal diseases. Still, I have the feeling that they as a "species"(?) were getting weaker... because otherwise mortal diseases should have infected them long ago. So, I guess there could still be a few fringe members out there, but they seemed to be headed toward extinction one way or another. I was so surprised to see Jack at the end, but was so glad about it. I couldn't imagine the emotion to feel, especially since he loved his dad so much, and to lose him so young. Overall, I just absolutely loved the book. I was impressed and it definitely lived up to if not exceeded my expectations, especially since the Shining is one of my favorite books. I'm so glad you guys loved it. sowenswrites.com ... Jack at the end sealed the deal for me to be honest. I absolutely loved that part in so many different ways. Amazing!! Thank you so much for joining us! I had so much fun with this!! I agree about tearing up over Jack at the end--what an awesome appearance. I was so happy that King wrapped some elements of Danny's Overlook experience into the ending. The relationship between Danny and Abra--TOTALLY saw it coming. I think I'm the only one!! As soon as Momo mentioned that Abra's grandma had gotten knocked up while working at a school in Vermont, I pegged it. That plus the tic that Jack and Abra shared (the mouth rubbing) tipped me off. I kind of wish I hadn't figured it out so early, would have made that reveal much more eventful for me! Great review on your site, by the way!! I just left a comment over there!! I loved this book. I feel the same way about King's endings - I think he does much better at building suspense and plot, and then falls short at the end. I think he has gotten much better at it over the years but the ending to Doctor Sleep just seemed anti climactic after the plot unfolded in the last 50 pages or so. Heather ... I have not read as many of King's more recent books, so I need to fix that and see for myself how much he has improved on those endings! ;) I'm sorry to hear that you felt the ending was anti-climatic, but also glad to hear you still loved the book! Like Kelly, I guessed about Dan and Abra, but I think it was because I listened to the audiobook and so every little detail, even the ones the author is trying to slip past you, tends to stand out the same as all the others! The symbolism of The Shining's taking place in the winter, while most of Doctor Sleep happens in the spring (didn't it?) just occured to me, though. I should have put it in my wrap-up post! Thank you for hosting the readalong. I've really enjoyed reading what everyone has been saying about Doctor Sleep. Laurie C ... Good catch on the season symbolism! I didn't catch that one at all, but it makes complete sense!! Thanks for joining in with us!! It's been fun!! I totally missed the family connection between the two - but awesome twist. And like you - I'm glad he included Jack at the end there. I don't think the members of the True that left will be wiped out by the measles. Tanya Patrice ... I'm with you about the True Knot! I think they will continue to exist! You are so right about this being one of King's better endings. I said the same thing over on Charleen's blog. I wasn't surprised about Dan and Abra, per se, but I didn't really expect them to be related so closely. I thought that was a cool touch. I would love to see the True Knot get their own book. I think there is so much that could be told. Oh, and Danny seeing Jack made me tear up at the end, too. I think I even yelled, "YES!" out loud. Haha! I was also glad to see Jack make an appearance at the end. I felt that it tied the book up nicely. 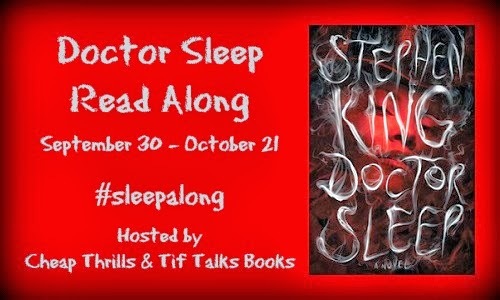 I am so sad that I missed the readalong and discussions as I have also read (and reviewed) Doctor sleep this month. I am definitely going to go back and read all your discussions. Chrizette Bayman ... Please join in! We would love to have you! The joy of an online discussion is that you can jump in anytime you want!! Great question about the rest of the True Knot members. I kind of sympathized with them so I wonder too what will happen to them. I really agree with you about King's endings! Some of his best books have weak endings. This one worked for me. thebookstop ... Yes, yes, yes!! I love that we are on the same page!